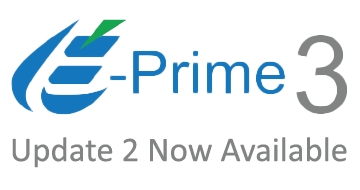 E-Prime 3.0 Update 2 is now available as a free download on our support site for registered E-Prime 3.0 users. This maintenance update provides bug fixes, enhanced system stability, and improved timing accuracy. E-Prime 3.0 Update 2 has introduced Annual Group Licensing as an option for customers. 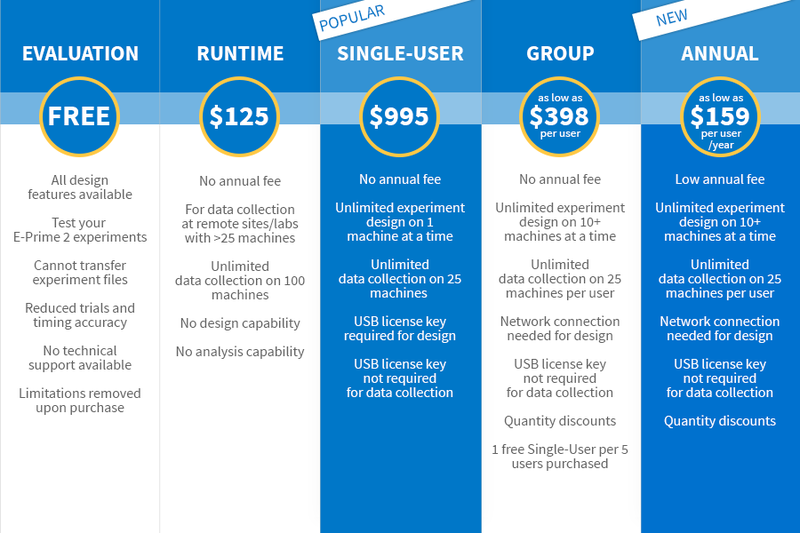 We often hear that labs operating on an annual department budget would prefer an annual pricing option as opposed to the one-time cost of a Perpetual Group License (formerly a Network License). Group Licenses are best for labs with 10+ users. If you have any questions related to E-Prime licensing, please contact us at sales@pstnet.com.